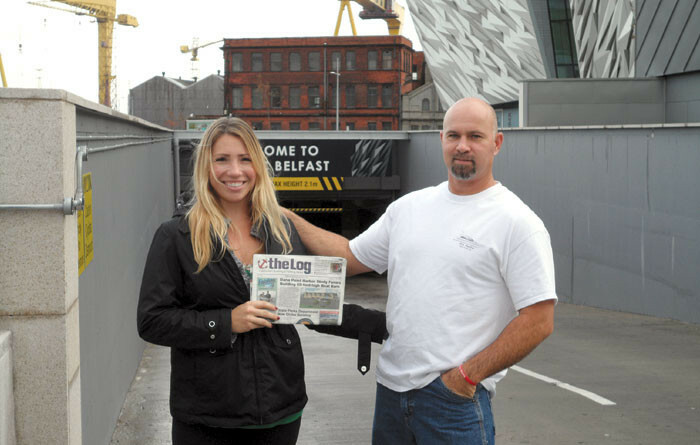 Cobh, Ireland — Adee and John McMaster of San Clemente recently enjoyed a holiday in Ireland, and they brought along a copy of The Log Newspaper. John was born in Belfast, Ireland, so we went back to see where his father worked in the shipyard, Adee reported. It turned out that where he worked was where the Titanic was built. Back home in Southern California, the couple owns a 1959 Tollycraft and a 2005 Chaparral.